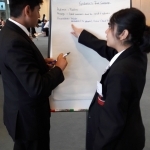 In October, Future First worked with the Wellcome Trust to support over 130 students from the London Borough of Camden and beyond to increase their knowledge about the work of the Trust and careers in science. Here we share an update from the day. Last month, staff at the Wellcome Trust volunteered to take part in a Careers Insight Day, helping to inspire students about the range of careers open to them. Through a series of activities, students had the opportunity to explore different job roles, learn about a typical working day at the Trust, and better understand where their skills and strengths lie, to build their confidence for succeeding in the future. 36 Year 10 students were welcomed from four London schools. The pupils came from: Maria Fidelis in Camden; Holloway School in Islington; Clapton School for Girls in Hackney; and Canon’s High School in Harrow. The morning session focused on improving the students’ knowledge of the Wellcome Trust. It began with a presentation about how the trust was created from Internal Communications Project Manager, Rachel Mason. 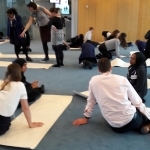 The students then had an opportunity to investigate the different types of roles available at the Wellcome Trust by taking part in speed networking, where they were able to first guess and then quiz the employees about their roles. 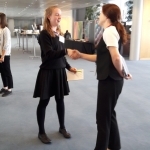 Students then worked on first impressions: shaking hands, making eye contact and meeting the volunteer ‘at a professional level’, by standing to greet them. Students also had the opportunity to work on a ‘real world project’, in which they were tasked with creating a campaign that promoted awareness of the spread of epidemics worldwide. Each group targeted their campaign at a different audience and presented their ideas to the wider group at the end. Lots of students mentioned this activity in their final evaluation as one of their favourite parts of the day. 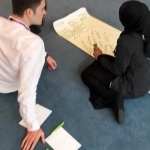 The Wellcome Trust Career Insight Day is part of Future First’s Employer Partner Programme. Schools looking to get involved should contact their alumni officer or email info@futurefirst.org.uk.